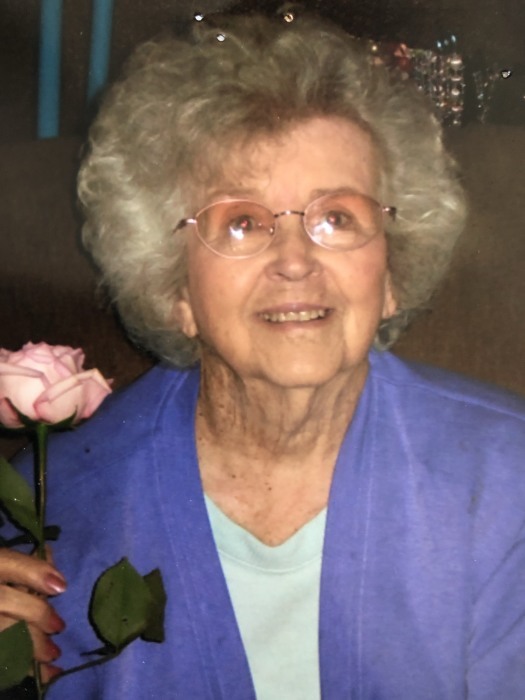 Thelma A. French, 99, of Freelandville passed away on Monday, April 1, 2019 at the Freelandville Community Home. Thelma was born in Bicknell, IN, October 24,1919 to the late Albert Horn and Jewel Horn (Williams). She was married to the Late Charles (Bob) French on June 1,1941 in Mooresville, IN. Thelma was a homemaker and loved sewing, cooking, singing, and horseback riding. She was involved in various organizations to include, Eastern Star, and Home Makers Club. Thelma was also a member of Asbury Chapel. There will be a private celebration of Thelma's life. Donations may be made to Asbury Chapel.